Stretch That Note has announced Killa Kits, a comprehensive urban, dance & electronica drum library. Nothing in rap, hip-hop and dance music screams ‘amateur’ more than limp, lifeless, lacklustre drum sounds. Thankfully, beat-making legends Stretch That Note (STN) have made it easier than ever to avoid this production pitfall with their latest release, Killa Kits. If you’ve tried our other products, you’ll know that here in the STN labs, we do some very clever things with samples, but this time we kept things deliberately simple. You just get pristine quality, beautifully sculpted sounds that are perfect for any type of modern song construction. 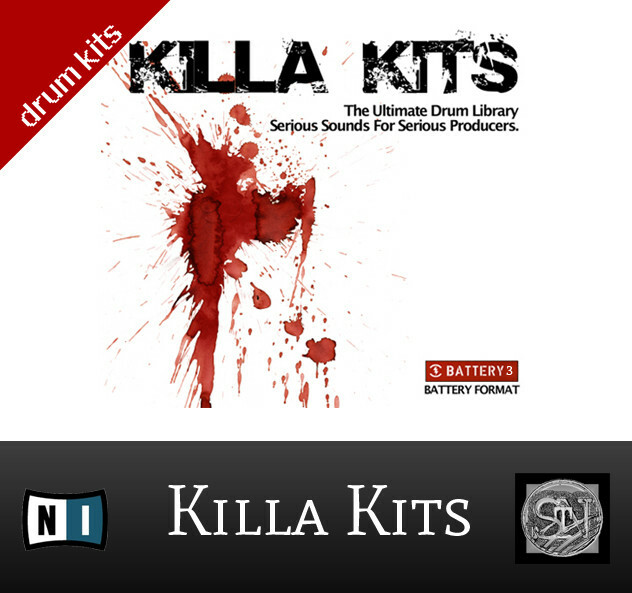 Killa Kits is a comprehensive, downloadable library, bursting with the latest cutting-edge drum, percussion and FX sounds, each one of which has been expertly crafted specifically with urban and electronic genres in mind. We don’t use the word ‘comprehensive’ lightly, either! There are over 6,000 professional-quality drum samples, marshalled into 96 presets for the industry-standard NI Battery and Kontakt sampling software. Each preset features multiple drum kits — so this package gives you literally hundreds of the choicest kits. Pretty much any percussive requirement your mind can conjure up is catered for, from electronic percussion to impacts, from grimy kits to scratch kits, from sparkling percussion to hard-hitting spot FX. The various kits are layered to provide you with the extra thump and bottom end that modern mixes demand, and unlike in some libraries the scratches are recorded from a genuine vinyl performance by a leading scratch artiste. We’re particularly proud of our hard-hitting hip-hop and dance drum kits, which offer brain-bashing, spine-rattling mega drums, with kicks that punch hard enough to burst your spleen, and snares that cut so hard they’ll make your eyes bleed. Ranging from stalwarts like shakers and tambourines, via club cowbells and latin percussion to filtered tabla, and more weird and wonderful pieces like Tibetan bells, there’s everything in the percussion kits you could want — and in the FX library, there’s a whole lot more besides. Have you ever heard reverse cowbells, or processed the chunky mechanical sounds of a factory? Or grinned at the sound of huge, resonating toms run through a Harmonizer? Now you can. All samples were recorded and processed through a meticulous chain, making use of select analogue and digital gear. 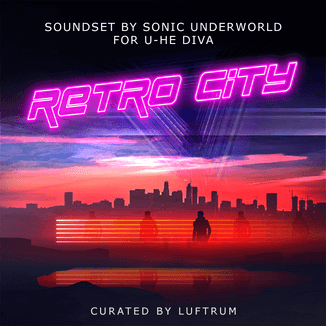 Each kit and every range of samples was then edited and mapped across the keyboard, to provide the user with an instrument that’s as playable as it is programmable. The sample library is available to purchase for $50 USD. 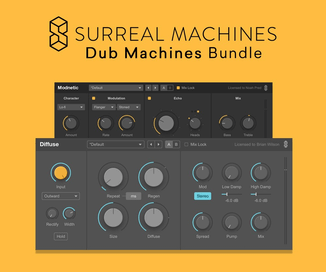 A free demo with two full presets (each featuring a number of drum kits) can be downloaded from the product page.